Rub duck with orange or lemon and add salt. Place duck on top of celery sticks in a baking pan. Roast for 10-25 minutes, depending on the size of the duck, and ensuring the internal temperature reaches 140° F. Don’t overcook. 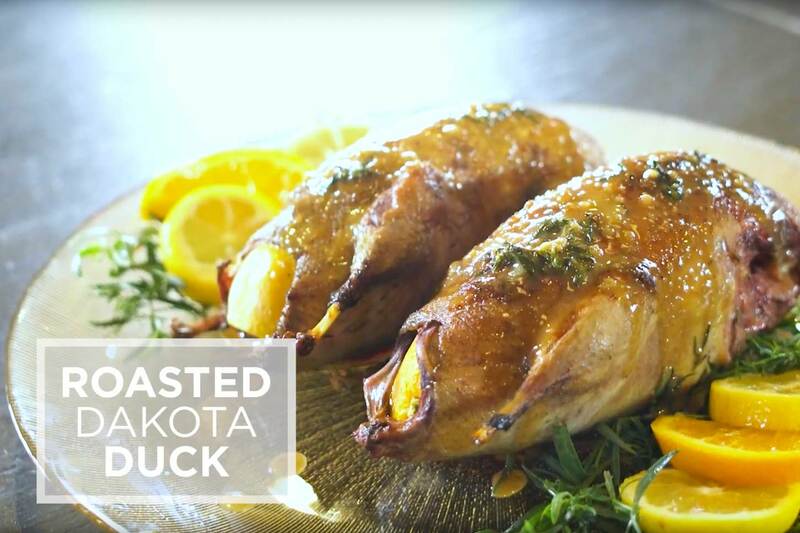 Remove duck from the pan; place it on a cutting board or serving dish. Remove the celery from the baking pan. Stir flour into pan drippings over low heat. Add Worcestershire sauce, Marsala, lemon juice and whisk together. Add salt and pepper to taste. Remove from stove. Stir in parsley and butter. Pour sauce over duck and serve.